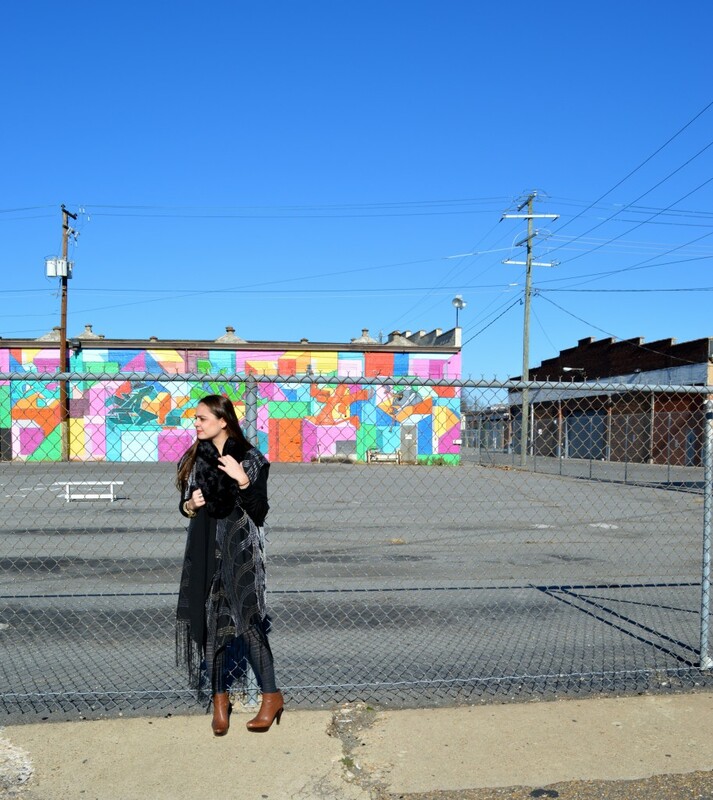 My Crystal Press partner Catherine & I had fun exploring the street art park in Richmond, VA last weekend. 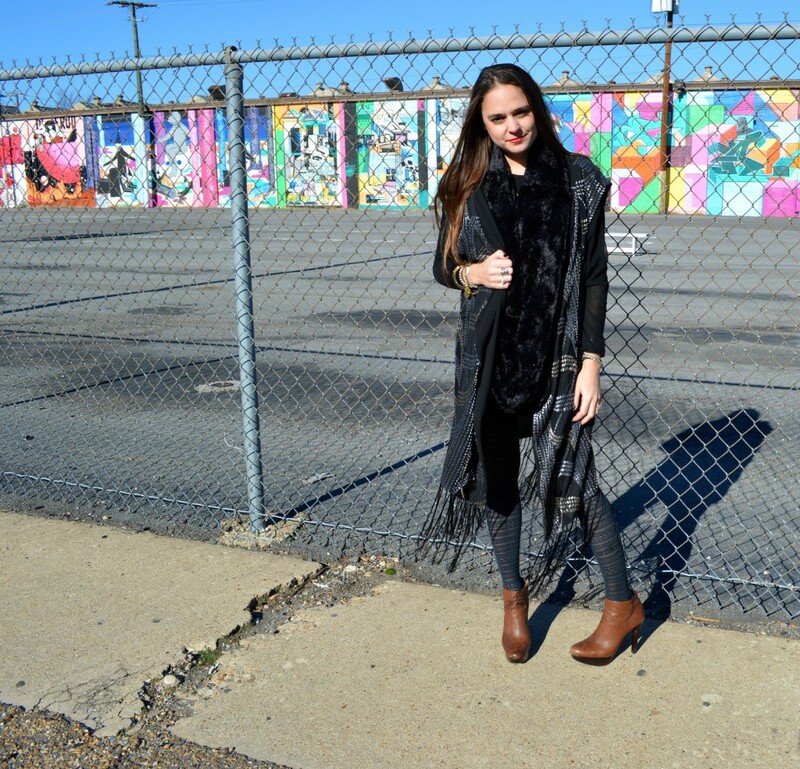 I paired an old faithful pair of Stuart Weitzman booties with my new favorite Free People vest! 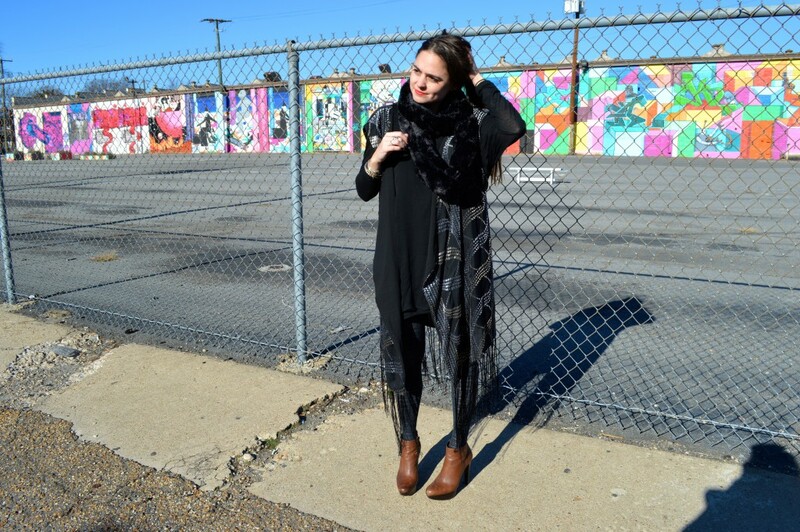 Vest: Free People Velvet Castaway. 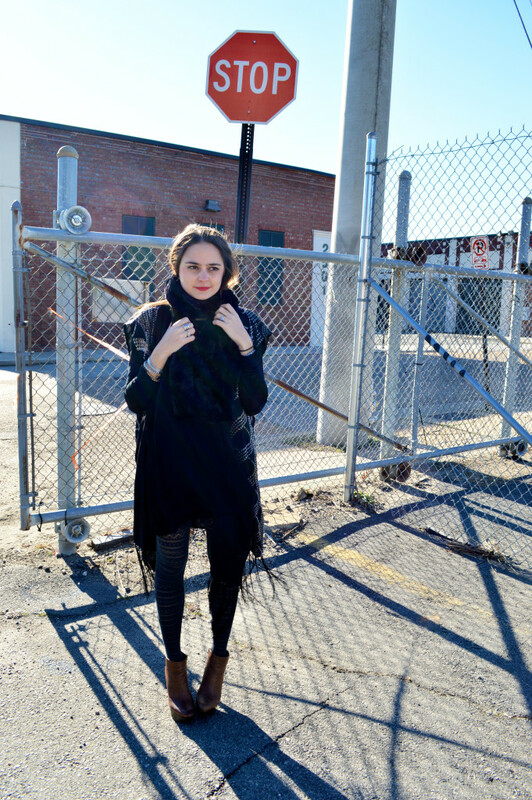 Scarf: Asos Faux Fur. Tights: Hue (Similar here).